A word of advice to the organizers of Dallas Comic Con. Next year, it might be a good idea to schedule more volunteers to monitor the back of the line should it stretch out past the parking garage. When I got to the convention center at 11 AM, there were two lines circling around the building and nobody seemed sure which was which and where the end was as the line became an ouroboros and circled in on itself. There was also some confusion as someone told the atendees who already had their armbands that once the doors opened at 11 they could enter the convention center using the outside stairwell. I was part of the crowd that was halfway to the second floor before another volunteer told them to turn back. Naturally, this made a total mess of the lines - such as they were at that point - and I opted to sit in the shade and wait for things to clear out before trying to get into the building. 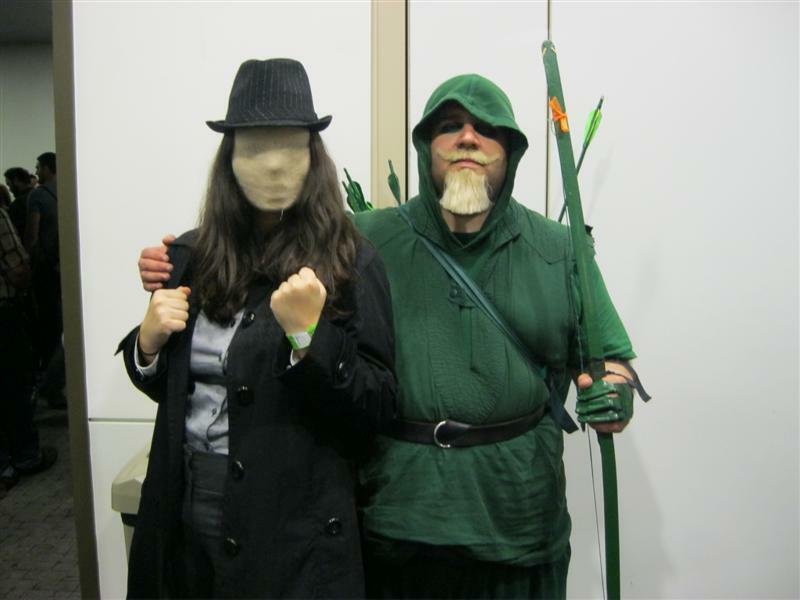 Thankfully, my partner in crime for the day, Janna, was running late, so this left me in a nice visible location for her to track me down before we entered the convention center - Green Arrow and Black Canary. For the better part of the day, I spent more time posing for pictures than I did taking them. I didn't get much chance to play photographer until after the cosplay contest, when everyone was milling about waiting for the results. 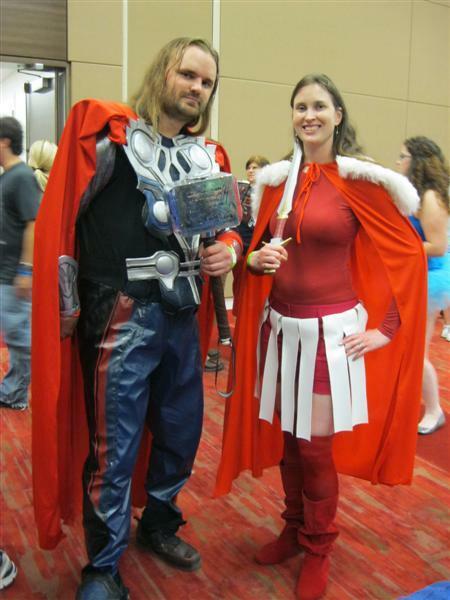 Still, I did get some choice pictures and saw some amazing costumes. 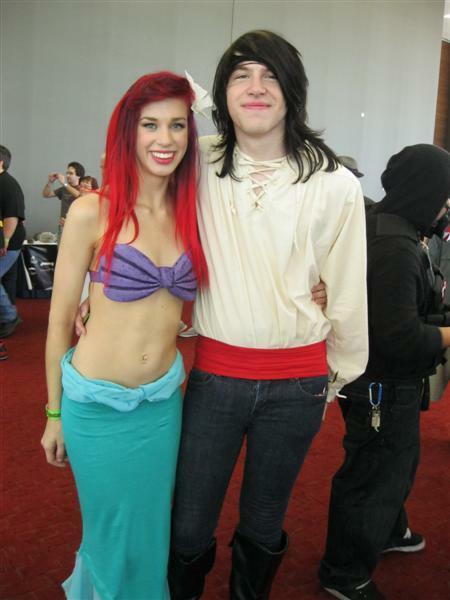 I've seen a few Ariel cosplayers before but this is the first time I saw a Prince Eric. Tensions flare as an argument breaks out over who has the best green costume. Good thing I'd been playing Injustice: Gods Among Us for just such an emergency. 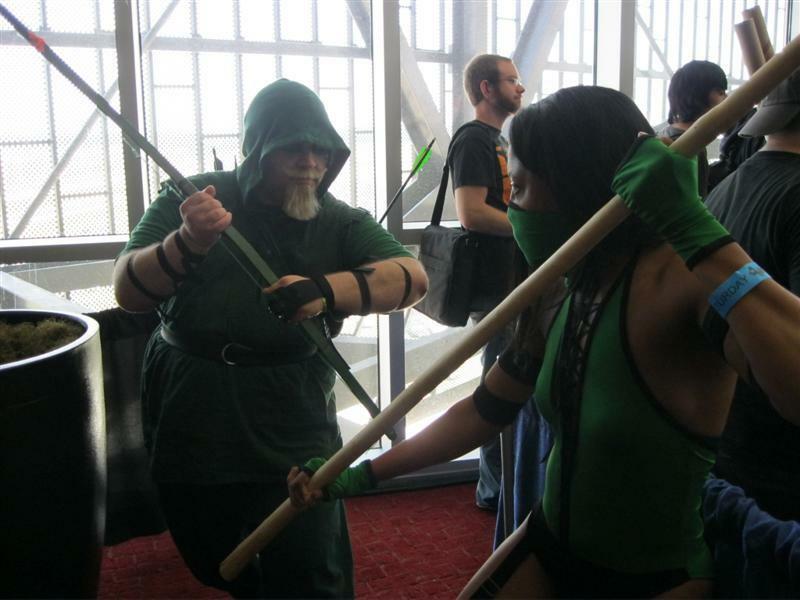 Actually, Jade from Mortal Kombat and I had a good talk while waiting for Kevin Conroy. No Cosplayers Were Harmed In The Making Of This Photo. 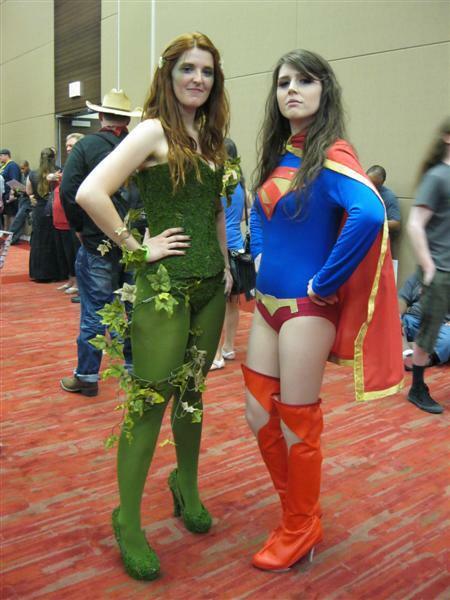 Poison Ivy and the New 52 Supergirl. 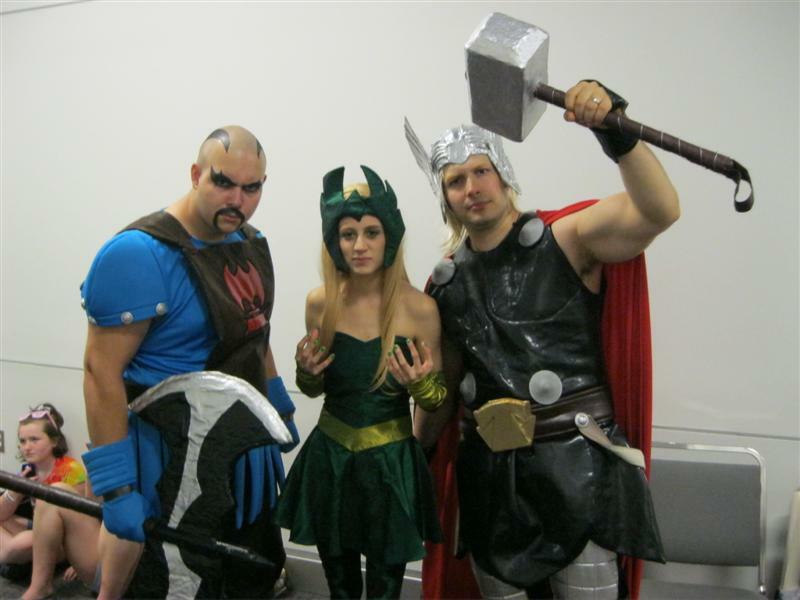 A Trio of Asgardians - The Executioner, The Enchantress & The Odinson Himself! 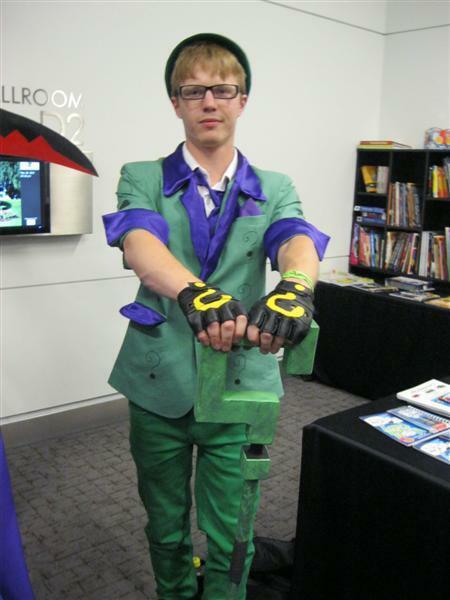 The Riddler from Arkham City. 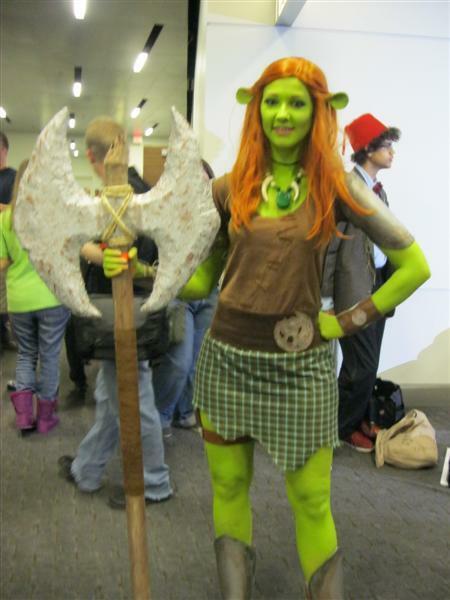 Anna of Glitzy Geek Girl as Fiona from Shrek 3. 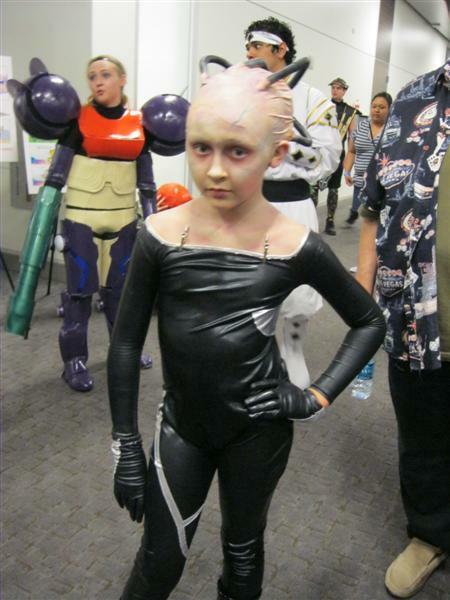 Reese of Reese's Pieces handily won the children's cosplay contest as a Lil' Borg Queen. The Hellfire Club. With Lhars Ebersold as The White Queen, Cody Phillips as The Black King and Taffeta Darling as The Black Queen.